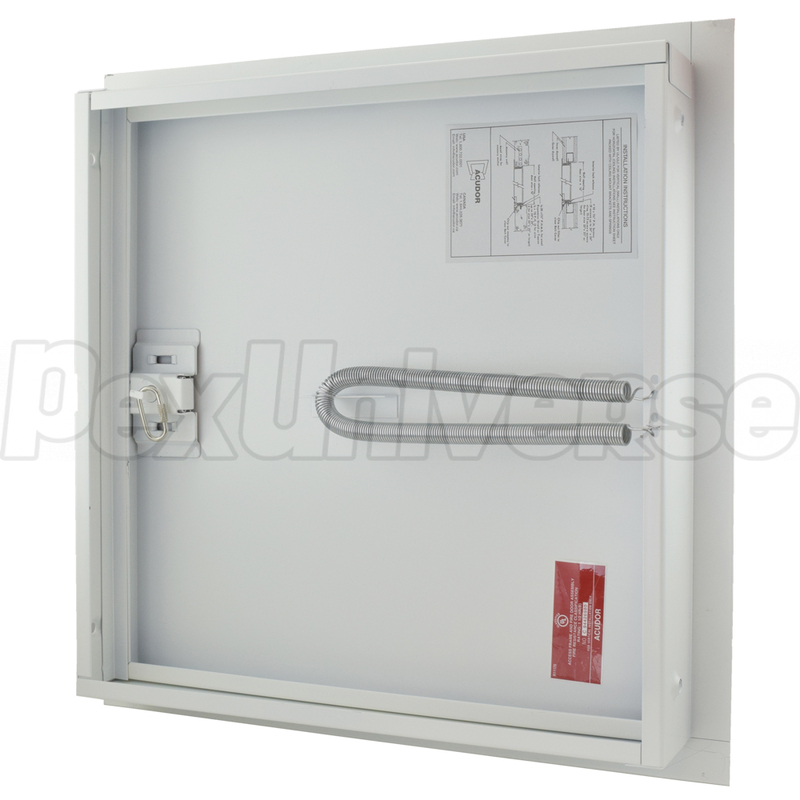 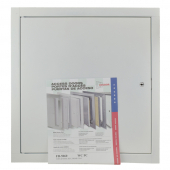 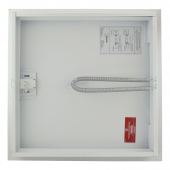 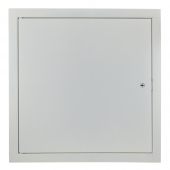 Acudor FB-5060 series, 10" x 10" metal access door design to maintain continuity in a 2 hour fire rated wall, when temperature rise is not a factor. Comes with knurled knob/flush key operated self latching bolt. For wall installation only. 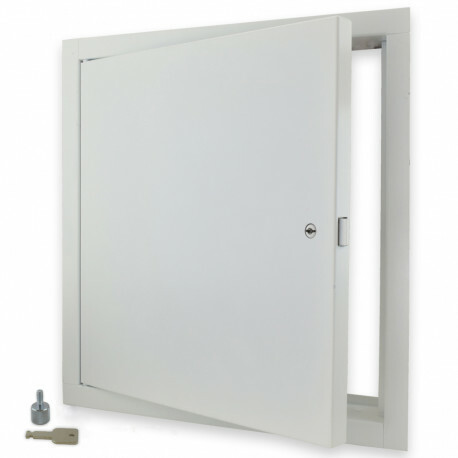 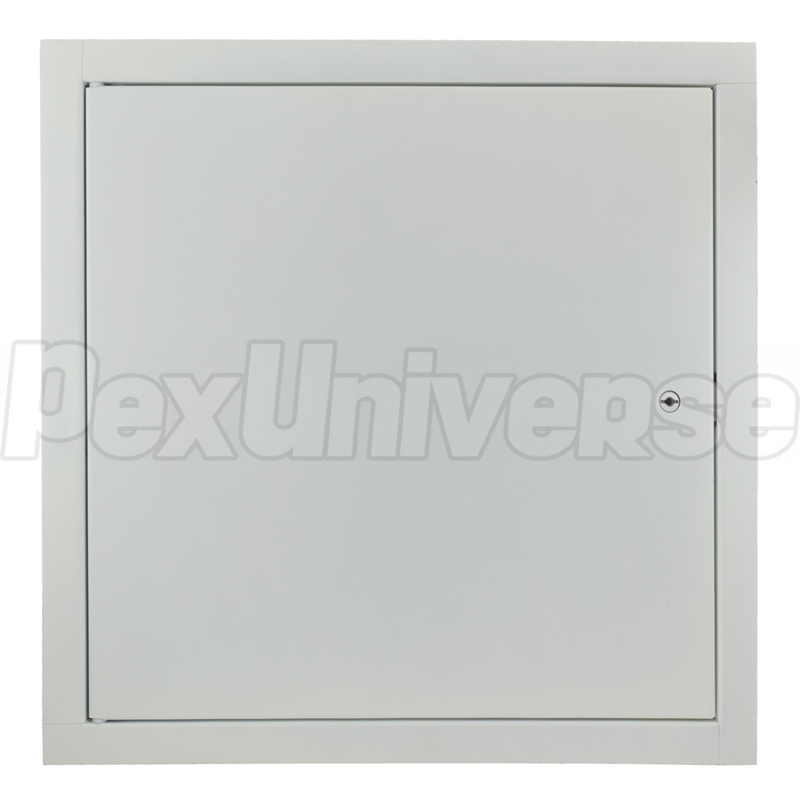 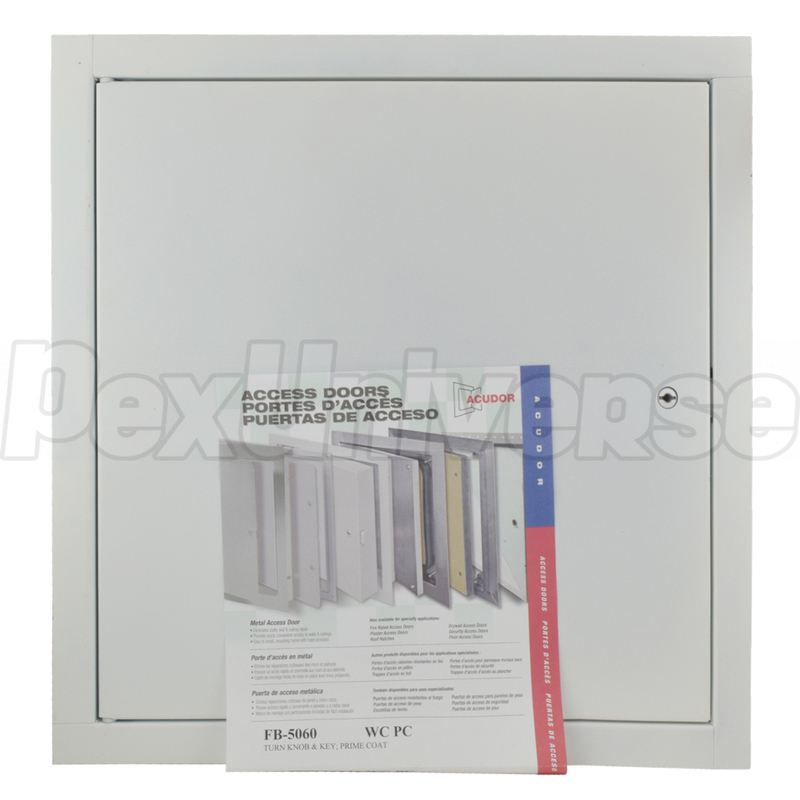 Access door size (W x H): 9.78" x 9.78"
Overall size (W x H): 12" x 12"